Ethan Miller, a professor of computer science in the Baskin School of Engineering at UC Santa Cruz, has been named a Fellow of the Institute of Electrical and Electronics Engineers (IEEE). Elevation to the grade of fellow is a prestigious honor conferred by the IEEE Board of Directors on members with an extraordinary record of accomplishment. The total number of fellows selected in any one year does not exceed one-tenth of one percent of the total voting membership. Miller, who holds the Symantec Presidential Chair in Storage and Security and directs the Center for Research in Storage Systems at UC Santa Cruz, was recognized "for contributions to the design of file and storage systems." Miller's research addresses the growing challenges of storing and managing massive amounts of electronic data. 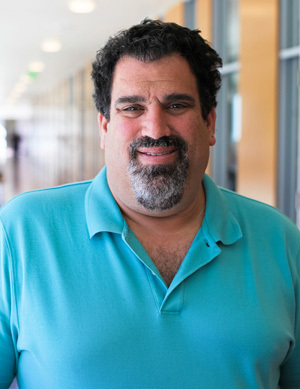 His current projects include archival storage systems, scalable file system indexing, file systems for next-generation storage technologies, file system security, and petabyte-scale storage systems. Miller's research interests also include storage system benchmarks, algorithms to more efficiently manage storage, and information retrieval from very large text and multimedia corpora, as well as other problems in computer systems and security. Miller joins nine other UCSC engineering faculty who are IEEE Fellows. He earned his Sc.B. degree in computer science at Brown University and M.S. and Ph.D. degrees in computer science at UC Berkeley. Miller joined the UCSC faculty in 2000.